Local-born Richie Culver makes a triumphant return to his roots with his first solo show in Hull, whilst internationally acclaimed Tim Noble & Sue Webster present work from their prolific back catalogue. The two exhibitions open Fri 16 Mar here at Humber Street Gallery and will run until Sun 27 May. Richie Culver’s No one knows me like Dawn from the Jobcentre will occupy Gallery Two and Three with a body of work drawing on personal experience. Predominantly paintings, Richie’s work is underpinned by an honest, and sometimes humorous, account of time spent on Jobseeker’s Allowance. Richie’s work invites us all to examine the brief but significant encounters we have with other people as we strive for success in times of hardship. From working-class roots and metropolitan living to the underbelly of urban life, Richie’s work is full of personal references that many of us can relate to. His creative path has so far has taken him all over the world too – as a photographer and as a self-taught artist working in paint and mixed media (including collaborating with the likes of Topman). 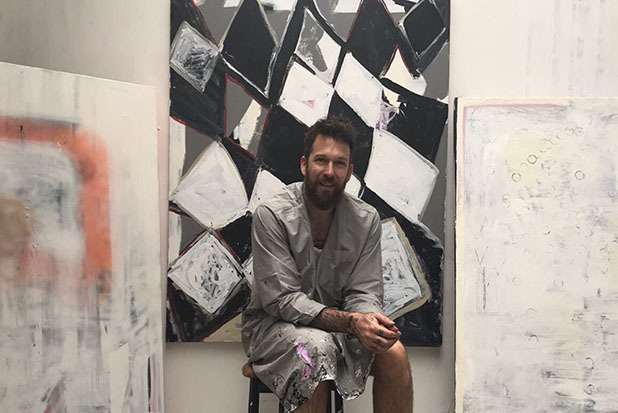 Richie’s work, especially his paintings, has become progressively abstract to bring together different elements of his multi-disciplinary practice. Collected by Blain|Southern, Adele and Tate, his work is in demand. And if the name sounds familiar you might remember Richie’s work featured on the shop fronts of Whitefriargate last year. Hull 2017 commissioned Richie to create Costa Del Wiv, a homage to Withernsea and a celebration of his roots. On the ground floor of the gallery you’ll find three works by Tim Noble & Sue Webster. With a punk and pop culture aesthetic, the artists bring about the unexpected, by uniting opposites and creating new modes of portraiture. They also play with ideas of the abstract, exploring how as humans we attempt to attribute meaning to these concepts. The three light installations in their Humber Street Gallery show are sometimes referred to as anti-monuments and reference our contemporary consumer culture. The London-based duo have been producing work together since the late 1980s and exhibited across the world in celebrated institutions, from Rockefeller Plaza, Manhattan, to the British Museum and Habitat to the Freud Museum. They are in international collections, including Saatchi, Guggenheim New York and Art Gallery of South Australia, Adelaide, as well as Blain|Southern. High profile commissions include the cover for Nick Cave’s album Dig, Lazarus, Dig!!! Katy Fuller, creative director at Culture Company, which, for Hull UK City of Culture 2017, set up Humber Street Gallery, says: “Humber Street Gallery continues to bring fine work by internationally renowned artists and we are delighted to have Richie Culver returning to the city that he grew up in for his latest show. Join us to see these two new exhibitions, open Fri 16 Mar – Sun 27 May, 10am-6pm. Entry is free and the gallery is open Tue – Sun.